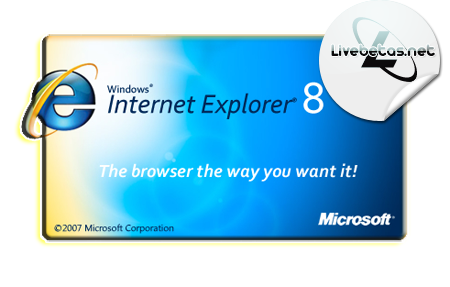 Internet Explorer is the most popular web browser produced by Microsoft for the Windows platform. Internet Explorer provides improved navigation through tabbed browsing, web search right from the toolbar, advanced printing, easy discovery, reading and subscription to RSS feeds, and much more. View multiple sites in a single browser window. Easily switch from one site to another through tabs at the top of the browser frame. Easily select and navigate through open tabs by displaying thumbnails of them all in a single window. Internet Explorer automatically scales a webpage for printing, so the entire webpage fits on your printed page. Print options also include adjustable margins, customizable page layouts, removable headers and footers, and an option to print only selected text. Internet Explorer takes the web experience beyond the page for quicker and more reliable for browsing with peace of mind. It’ s Fast, safe, and easy.